Hal Ward is a partner at Welch LLP with 30 years public accounting experience serving service a wide variety of clients from large corporate groups to small owner-managed businesses, provides hands-on personal service. His area of expertise includes assurance services, bookkeeping, income tax planning and compliance and financial statement preparation. Hal has personal experience in running a small business and can relate to and assist in the many challenges that small business owner’s face. He has a passion for supporting entrepreneurs and owner-managed businesses by leveraging his extensive experience as a business advisor. 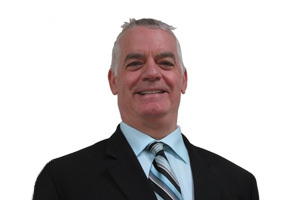 Hal graduated from the University of Ottawa in 1982 with a Bachelor of Commerce Honors degree and began his career at Welch LLP Ottawa office that year. In 1985 he obtained his CA designation and moved to the Pembroke office where he became a partner in 1988. Hal’s other achievements include service on the firm’s executive committee and past administrative committees. Hal has made presentations on topical issues to NPO boards and members. Hal is bilingual and provides service to clients in both Ontario and Quebec. Registered charities, NPOs, religious communities, health care, hospitals and owner-managed businesses in Ontario and Québec, functionally bilingual. Appeared in Canadian Geographic rolling logs during my younger years on the Coulonge river log drive.